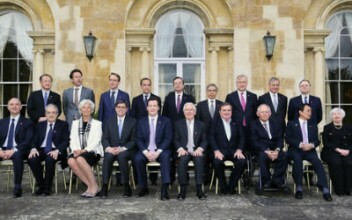 The Group of Seven, or G-7, is an informal grouping of finance ministers from seven of the eight wealthiest nations on earth (excluding China) in terms of global net wealth, rather than GDP. It began in 1975 with informal ‘fireside’ meetings of the Group of Six (G-6), which consisted of France, West Germany, Italy, Japan, the United States, and the United Kingdom. The first meeting was organised by Valéry Giscard d’Estaing, then President of France, who invited leaders of five leading nations to a meeting near Paris to discuss the economic issues that were affecting the global economy at the time, most notably the oil crisis that was threatening to throw the global economy into a catastrophic recession, and the collapse of the Bretton Woods exchange rate system. It became the G-7 when Canada joined the following year. The European Union joined in 1981, although because it is not a nation as such, it is not included in the name and cannot host summits or chair meetings. Since its inception, the G7 has met twice a year to discuss global economic challenges together, and improve communication and cooperation on matters that fall under the mandate of Central Bank Governors and Finance Ministers. These issues include economic and financial growth and stability, currency developments, and inflation. This group has played a crucial role in maintaining macroeconomic stability in times of crisis. For example, at the height of the financial crisis in 2008, the G7 set out a five-point plan of action to stabilise the financial markets. This was achieved at three meetings in Washington D.C. , two in 2008 and one in February 2009, with the ministers pledging to take “all necessary steps” to stem the crisis. This set down the foundation for the action plan that was adopted by G20 leaders in later summits. Similarly, the Plaza and Louvre Accords of the late 1980s helped to align and stabilise globally important exchange rates. According to the Credit Suisse Global Wealth Report September 2012, the countries represented by G7 finance ministers collectively account for more than 66% of the net global wealth ($223 trillion). In 1994, Russia first met with the members of the G7 in a grouping that was dubbed the G7+1. It officially joined with the G7 countries in 1997 to form the G8, a separate grouping of world leaders and heads of state. But while the two groups have a shared heritage, the meetings of G7 finance ministers are entirely separate to the meetings of G8 national leaders. Given the tensions that have built up between Russia and the West since the rise of Vladimir Putin, Russia’s membership of the G8 now seems anomalous, but at the time it was part of a major effort to encourage Russia to become a free market liberal democracy and engage with international processes. By the late 1990s, it was becoming increasingly clear that emerging economies in Asia and Latin America needed to be included in the process of international economic cooperation, after several financial crises centred in those regions destabilised the global economy. This led to meetings between larger groups of countries, first the G22 in 1998 and then the G33 in 1999. However, in December 1999, a grouping of 20 (the G20) was established, which included key regional powers alongside the European Union. Where Does The G7 Fit In Now? So while the importance of the G7 has been diluted somewhat by the formation of the G8 and G20, it is still considered to be a useful think-tank for addressing the economic issues affecting Western countries and the world in general. Often, policy ideas will be set down at G7 finance summits that will then be discussed and sometimes actioned at the meetings of the larger groups. The focus on macroeconomic issues, particularly with regards to currencies and inflation, is the main reason why these summits are watched so closely by forex traders and analysts. These can be a useful gauge of the decisions that governments and central banks are likely to take, and the release of statements and minutes from these meetings can prove to be big market moving events in the currency market and, to a lesser extent, other capital markets. However, these meetings are of interest to everyone involved with the finance industry, as they also have a huge influence on future government regulation. 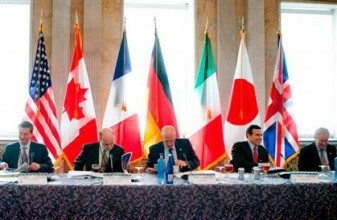 The most recent meeting of the G7 was in London on the 10th and 11th of May 2013, under Britain’s presidency. The issues under discussion included the fight against bank secrecy, tax havens, and tax avoidance, the balance between growth and fiscal consolidation – particularly in the Eurozone – and also financial regulation. Here is a full list of those in attendance at that meeting. Forex margin trading - how does it work?